Since washing your face is the first step in your skincare routine, and if you’re not doing that, I’m calling the police, it’s important to start things on the right note. Using cleansers too harsh for your skin type will only result in your skin being pissed at you and irritated about everything you put on it afterwards. As a dry skinned honey, I like to use gentle facial cleansers. I don’t want something too foamy, I like a creamy situation and I prefer something that is gentle but effective at removing every last speck of makeup. 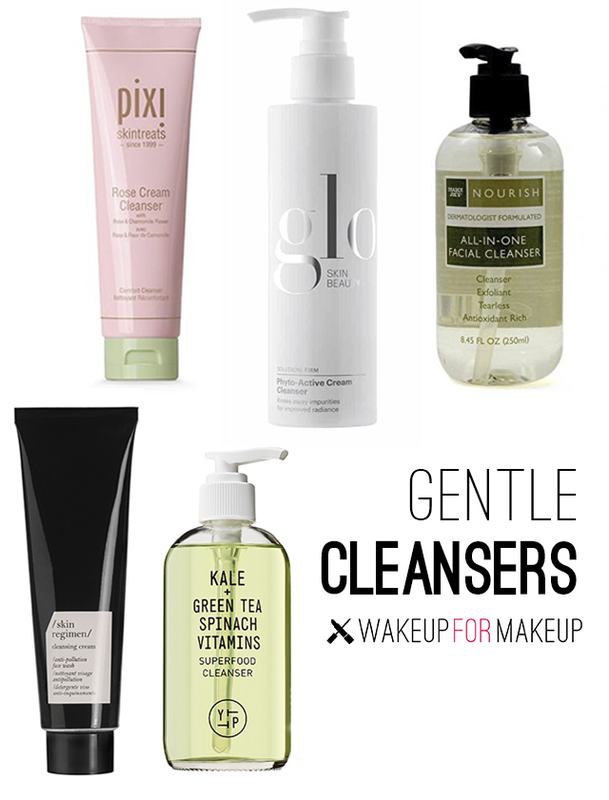 These are some of my very favorite gentle cleansers, in a variety of price points because we’re all just doing our damn best, ok?! This contains copaiba, which affects the skin similarly to CBD. It has a nostalgic, cozy, woodsy scent that reminds me of a fancy cedar closet. A little goes a long way. Powerhouses like kale, spinach and green tea make this cleanser smell like a super healthy green juice. This is a great gentle cleanser for those that prefer a gel vs. a cream. You can get a mini size on Sephora.com to try it out. I think about this cleanser a lot because I left it in a hotel room over the summer and I’m still hurting over it. It feels fluffy and luxurious and utilizes plant stem cell technology. As the name indicates, this cream cleanser contains rose flower oil, as well as calming chamomile, rosewood and avocado oil. This is the budget star of the show. This gel cleanser is fragrance free, tearless and simple. I’d ignore the words exfoliating and antioxidants on the packaging, as it won’t provide those things for you, but when it comes to gently removing makeup and dirt, it does that very well.